It’s every parent’s worst nightmare – losing your child in a crowded department store, or at a sporting event or even just walking on a busy street. The grief and guilt that ensues can be overwhelming and even debilitating at times. At least until your child is returned safe and sound, and that’s certainly the result that everyone hopes for. But there is a way to keep this terrifying moment from even happening in the first place, and that’s by using Global Positioning System (GPS) technology to keep track of your children when you’re out and about. These units are unobtrusive and can certainly come in handy. Even if you only need to use it once in a child’s lifetime, it will more than pay for itself! The devices come in many shapes and sizes, with children often not even knowing that they’re wearing a tracking device at all. The tracker can be hidden inside a watch, or in a piece of jewelry or even inside what the child thinks is a toy. And they have many benefits, the most important being the overall safety and well-being of your child. In Case Of Abduction. If your child is abducted, it’s only natural that you’re not thinking clearly in those first, and vital, moments following the realization that he or she is missing. But when you remember about the GPS tracker, imagine your relief when you can tell the authorities that you know EXACTLY where your child is at that particular moment. Allows Children More Freedom. If your child is on the playground with his or her friends, you can allow play to occur naturally and without interference, because you know that your child is safe. That’s not to say don’t keep an eye on him or her, but you can also allow some freedom to mingle and interact naturally with other children. Monitors Children With Special Needs or Behavioral Problems. If your child has developmental disabilities or problems behaving sometimes, the GPS tracker can monitor him or her and let you know when a potential problem could be occurring. This can prove invaluable, as raising a child with special needs can be physically exhausting at times, and stressed parents can use all of the help that they can get. Gives Peace Of Mind To Parents. Ah, this could be the most important benefit of all. It’s only natural to worry about your children, even when they’re grown adults and have children of their own. But when they’re still young and vulnerable, this type of technology can certainly set your mind at ease, and you certainly can’t put a price on that. Imagine how great it would feel to know that your child is safe at all times. Well, this technology can certainly give you the peace of mind that all parents strive for.  Contact us at SATX Technologies for any of your GPS Tracking needs, we provide mobile apps, e-log solutions, gps tracking devices and web platform, custom dashboards and reporting. We depend on these devices to track our Private Investigation clients. They work, and they work GOOD! we wont use anything else.